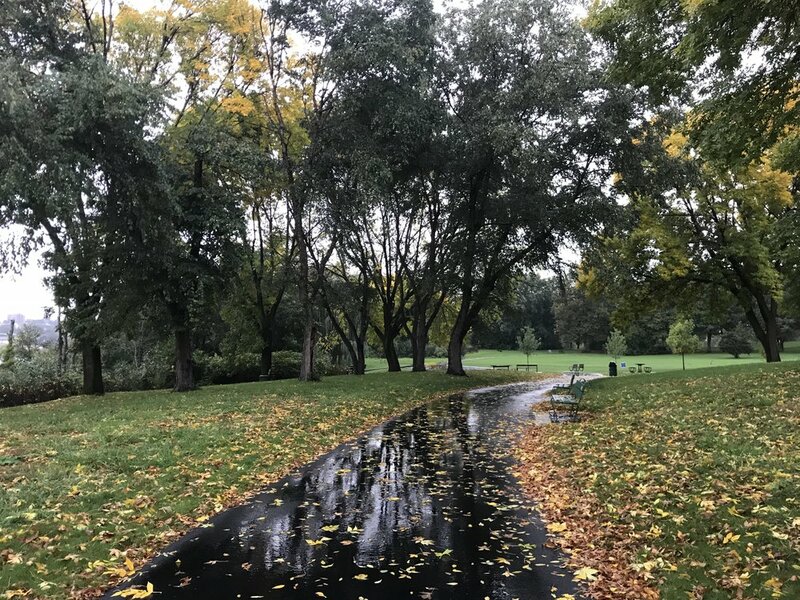 Macdonald Park is one of the largest riverfront parks in Greater Boston, providing residents in Medford, Somerville, Malden and Everett with recreational opportunities in and along the Mystic River. While the park is an important asset, it has not received the investment needed for ongoing maintenance and improvements. MyRWA and DCR are partnering to reverse this trend to make this a world-class riverfront park that is an environmental and recreational hub for local communities. A river overlook with a boat launch and picnic area is now open to the public. See photos of the new overlook and ribbon cutting here. Stop by the Mystic Musical Fence to make music in the park. 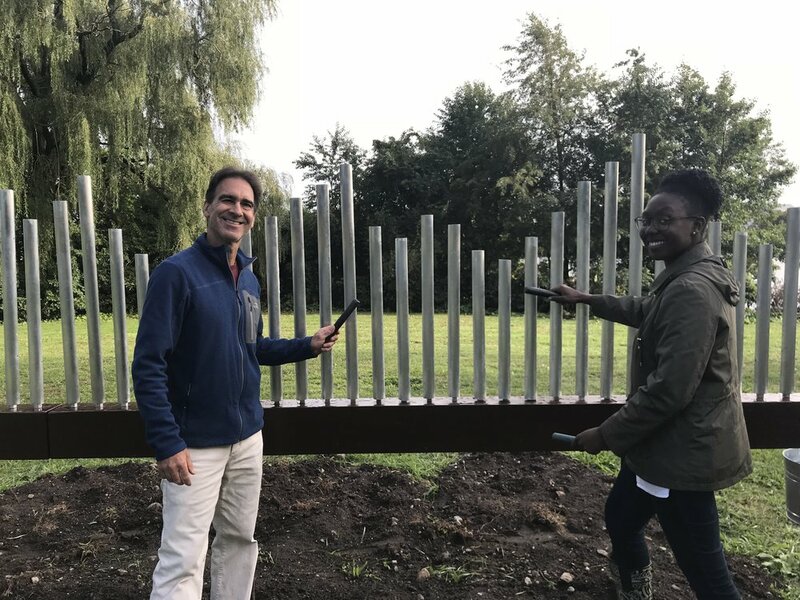 Hear professional musicians play the fence here, and view images of the fence ribbon cutting here. MyRWA launched a volunteer stewardship program bringing hundreds of people out to remove invasive Oriental bittersweet – all part of the larger revitalization efforts. Check our calendar for stewardship events and programming in the park. Cleanups occur monthly during the spring, summer, and fall seasons. DCR has repaved most of the 3 miles of trails and removed nearly 15 acres of phragmities, opening up access to the Mystic River and increasing safety. 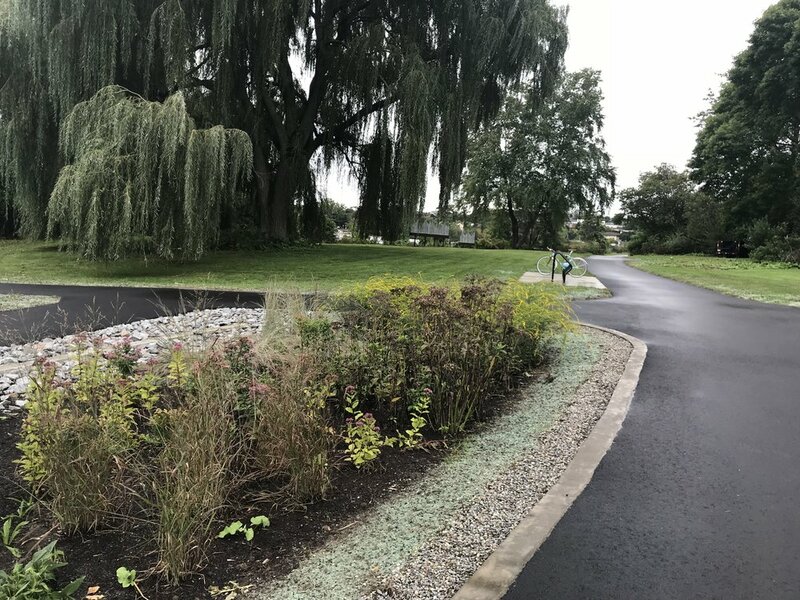 Bike down the newly paved path along the cove where phragmites was also removed to restore native wildlife habitat and allow better river views. Perch on the new sitting wall overlooking the boat launch. Newly planted rain gardens will help filter rainwater. Located adjacent to new bike racks, the Mystic musical fence, and the old willow. Play the new Mystic Musical Fence located directly past the overlook. An accessible sitting dock is past the old willow tree on the newly paved paths. MyRWA volunteers remove Oriental Bittersweet creeping up an old tree. Full of trees, Macdonald Park is a great place to see fall foliage.